Approximately 30% of Americans will find themselves involved in an alcohol-related accident at some point in their lives. Statistics show that one person is injured in an DWI accident about every two minutes. Below are some statistics on drinking and driving in the US. According to the National Highway Traffic Safety Administration (NHTSA), “A motor vehicle crash is considered to be alcohol-related if at least one driver or non-occupant (such as a pedestrian or pedalcyclist) involved in the crash is determined to have had a blood alcohol concentration (BAC) of .01 gram per deciliter (g/dL) or higher. Thus, any fatality that occurs in an alcohol-related crash is considered an alcohol-related fatality. Nationwide in 2005, alcohol was present in 24 percent of the drivers involved in fatal crashes (BAC .01-.07, 4 percent; BAC .08 or greater, 20 percent). The 16,885 alcohol-related fatalities in 2005 (39% of total traffic fatalities for the year) represent a 5-percent reduction from the 17,732 alcohol related fatalities reported in 1995 (42% of the total). The 16,885 fatalities in alcohol-related crashes during 2005 represent an average of one alcohol-related fatality every 31 minutes. Of the 16,885 people who died in alcohol-related crashes in 2005, 14,539 (86%) were killed in crashes where at least one driver or non-occupant had a BAC of .08 or higher. An estimated 254,000 persons were injured in crashes where police reported that alcohol was present — an average of one person injured approximately every 2 minutes. In 2004, the Federal Bureau of Investigation’s Uniform Crime Reporting Program estimated that over 1.4 million drivers were arrested for driving under the influence of alcohol or narcotics. This is an arrest rate of 1 for every 139 licensed drivers in the United States. In 2005, 21 percent of the children age 14 and younger who were killed in motor vehicle crashes were killed in alcohol-related crashes. In 2005, a total of 414 (21%) of the fatalities among children age 14 and younger occurred in crashes involving alcohol. Of those 414 fatalities, more than half (224) of those killed were passengers in vehicles with drivers with BAC levels of .01 or higher. While the criminal court system can punish drunk drivers, it can do nothing to assist in compensating the unfortunate victim. 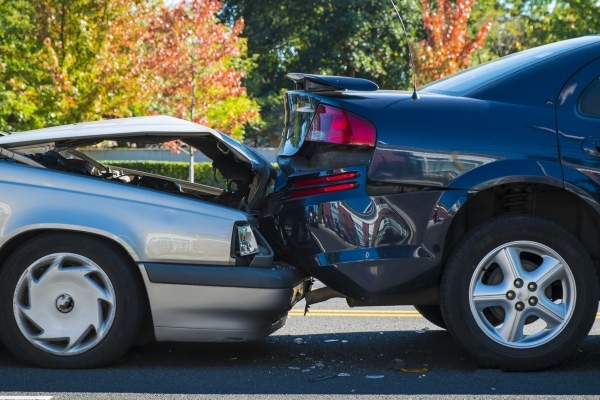 If you or a loved one has been involved in an accident with a drunk driver, resulting in injury or death, you need superior assistance from a law firm skilled in handling these types of cases and winning substantial settlements. Insurance companies are in the business of making a profit, not to pay out claims. Your medical costs now and in the future, as well as previous and future lost earnings due to DUI injury or disability, can ruin you financially. Insurance companies have legions of skilled lawyers whose job it is to dispute your claim, delay your full and fair settlement and protect the insurance company from having to pay. The Law Offices of Blaine A Tucker know the insurance company’s tactics, and are willing to take your case all the way to trial if necessary to ensure your rights are protected and you receive the full compensation for which you are entitled. Don’t leave your case to just any lawyer. Let our aggressive representation get justice for you and your loved ones. Drinking and driving accidents are very serious and you should hire a serious lawyer experienced in this type of law. If you would like to learn more about drunk driving accidents and how an expert Houston DUI Accident Attorney can help you with your situation, contact drunk driving accident attorney, Bat Tucker today at 713-771-5453 to discuss your options with him.